Berlin/Rio de Janeiro, October 03, 2015: The International Uranium Film Festival Berlin ended with glamour and stars from the German cinema. Film director Marcus Schwenzel received in Berlin the Uranium Film Festival’s Award 2015 for his movie "Seven Years of Winter". Together on the stage were Casting Director Uwe Bünker from Berlin and famous German actor Roman Knizhka who is one of the leading actors of Marcus Schwenzel´s Chernobyl movie. "Seven Years of Winter is spectacular, a masterpiece. A fiction that shows the reality, an unthinkable, post-nuclear reality," says Marcia Gomes de Oliveira, co-founder of the Uranium Film Festival and professor at the FAETEC Technical School for Film, TV and Event "Adolpho Bloch" of the State of Rio de Janeiro. And Marcus Schwenzel said: "I am very happy and very proud to be honored with the Uranium Film Festival's Yellow Oscar." The Yellow ... Award is a piece of art produced by Brazilian waste material artist Getúlio Damado, who lives and works in the famous artist quarter Santa Teresa in Rio de Janeiro. Here, the first International Uranium Film Festival was held in May 2011. 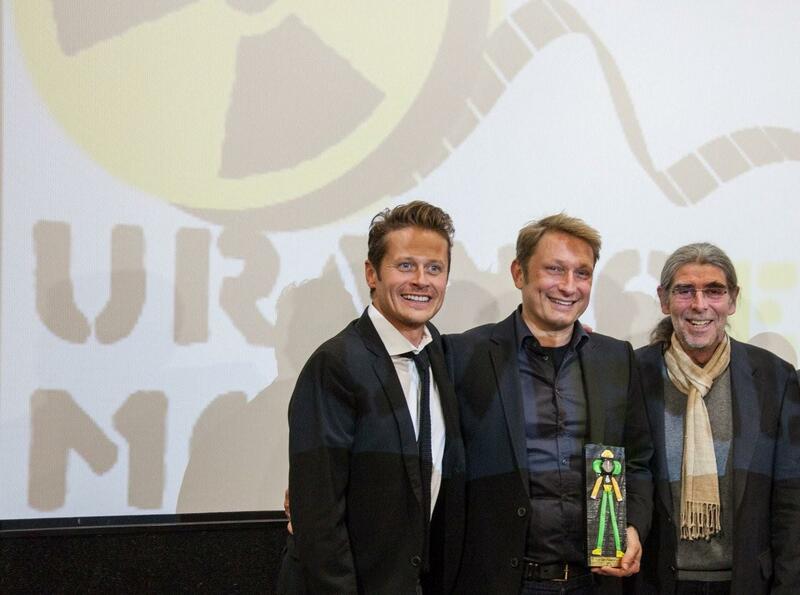 Photo 1: German actor Roman Knizhka (left); Marcus Schwenzel (centre), Uwe Bünker (Berlin Casting Director) during the Yellow ... award ceremony of the International Uranium Film Festival 2015 in Berlin-Pankow, Cinema Brotfabrik. Photo credit: Marek Karakasevic for Uranium Film Festival. Photo 2: Still of Seven Years of Winter with young actor Sasha Savenkov. Photo 3: Festival general director Norbert G. Suchanek with the film directors Reinhart Brüning and Riccardo Palladino in Berlin-Pankow, Cinema Brotfabrik. Photo credit: Jutta Wunderlich.